For those of you with a GPS watch, Wired magazine has a good article addressing the most common problem facing GPS watches: lost signals. The article can be found here. Although much of the article is targeted towards car navigation systems, many of the principles discussed in the article apply equally to GPS watches. 1. “Because a GPS has to receive a signal from space, physical impediments like skyscrapers, cliff faces, and even trees can stump it.” So if you run in an urban jungle, you may be out of luck. The ActiveWatcher know this from personal experience. Even more frustrating, it may work, but only sporadically. The good GPS watches will continue to track the distance while the signal is lost. 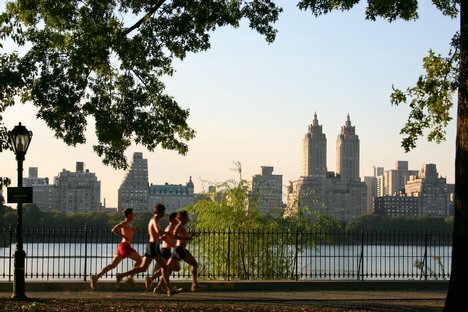 If you have no choice but to run in the city, run along the smallest buildings and in the most open space you can find in the city, such as along a river bank or in a park. 2. “Reception is less of an issue with the ultrasensitive chipsets in newer models….” This principle is just as true for GPS watches. The newer the GPS watch, the better the signal reception. 3. “The worst time to power up your GPS is when you actually need it.” That’s right, don’t wait to power up your GPS watch until you’re done with your warm-up run. Want to make sure your GPS is functioning for the ever-important tempo run? Go outside, activate your GPS, relax, and stretch for a few minutes. This entry was posted on April 12, 2010 at 5:02 pm and is filed under GPS. You can follow any responses to this entry through the RSS 2.0 feed. You can leave a response, or trackback from your own site. This post was mentioned on MySpace by Richard Hawkesford…. Thanks for the updates Katia and Time Synchronisation!